One of the best top-end lodges in the Welgevonden – and the best part is that it's not hugely more expensive than mid-range lodge options. Don't hesitate – spoil yourselves! 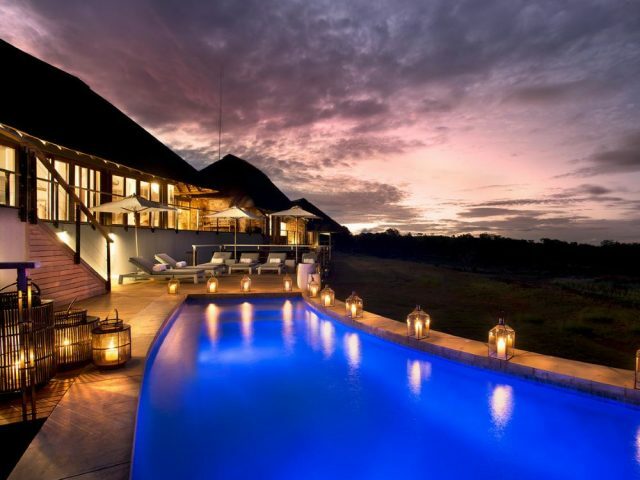 Makweti offers a wonderfully stylish and luxurious experience that makes it perfect for honeymooners and romantics! There's no children under 12 allowed either which just adds to the romance factor! Enjoy the great personal service and the attention to the smallest details – like coming back after dinner to hot water bottles warming up the bed! 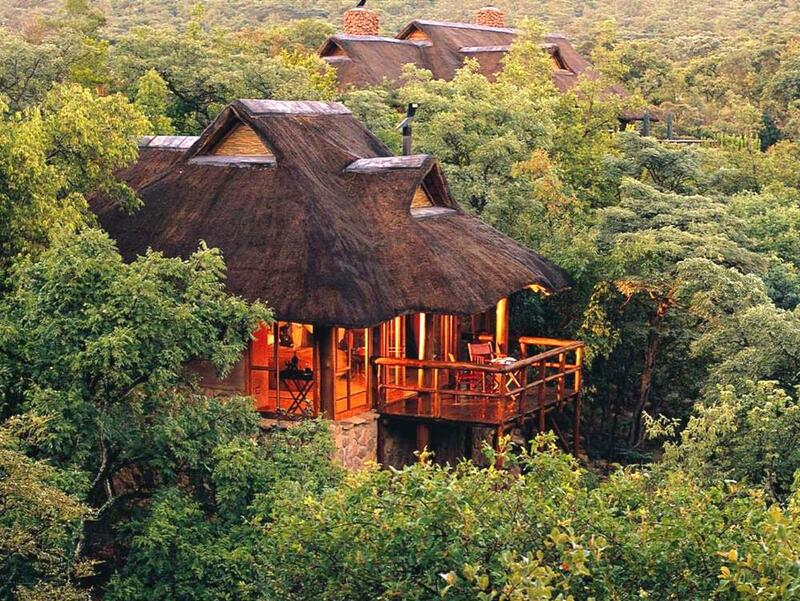 it's may be a few hundred Rand more expensive than the mid-range lodges in the Welgevonden - but boy is Makweti worth it! This is definitely a case of “spend a bit more, get a completely superior experience!" The Welgevonden reserve is a fantastic choice for Gauteng based travellers for a number of compelling reasons: firstly it's so close by at just 3 easy hours drive from Johannesburg; then the scenery is spectacular (far more so than the lowveld reserves) and finally the prices for South Africans (particularly last minute) are excellent. For these very good reasons the lodges in the Welgevonden, particularly the mid-range lodges, have been become very popular getaways for Gautengers. Makweti Safari Lodge is not one of these mid-range lodges – in fact it is positioned a good few steps up the ladder at the top end of the spectrum. As a result it's a few hundred Rand more expensive than the mid-range lodges in the Welgevonden - but boy is Makweti worth it! This is definitely a case of “spend a bit more, get a completely superior experience!” This applies to just about everything – from the luxurious accommodation to the superb personal service; from the lodge's gourmet meals to the game drive experience – Makweti is our choice as THE finest lodge in the Welgevonden and the small additional cost is completely worth it! 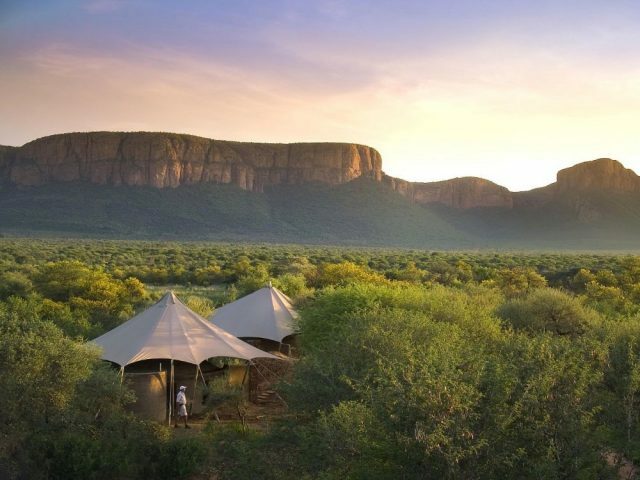 It ultimately comes back to the way that the lodges are structured in the Welgevonden – operators here buy a 500 hectare plot which then entitles them to a 5 room lodge, 1 game drive vehicle and a specific number of staff. The owners of Makweti bought two plots but have only developed one of them – this means that they have double the number of staff (which translates into better personal service and also more chefs to prepare the superb food) as well as an extra game drive vehicle too so you never have more than 6 people on a vehicle at once (unlike other lodges which have up to 10 people on a vehicle) All of this clearly results in a superior guest experience. So what about the lodge itself? 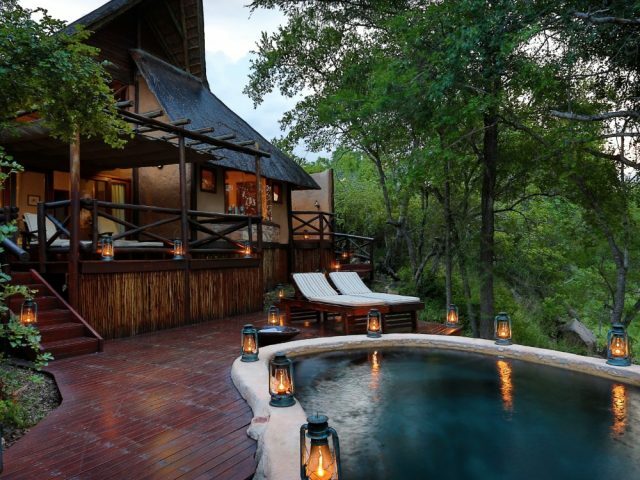 Makweti's 5 suites are located in a stunning setting overhanging the Makweti gorge. This is a luxurious intimate camp with 5 elegant, secluded thatch and stone suites beautifully and individually decorated with natural materials to produce an air of luxurious Colonial comfort – antiques and plush furnishings ensure an intimate, romantic experience with Victorian bathtubs and log fires as highlights. But it's not all about olden day nostalgia, with indoor and outdoor showers and a private deck (4 with plunge pools) boasting sweeping views of the bushveld adding a contemporary flavour. Return from the evening game drive and dinner during the chilly winter months and you'll find hot water bottles with padded covers already nestling beneath the sheets! About the only thing missing as far as we're concerned is air-conditioning, but then again the temperature usually drops nicely at nights and there's nothing like a dip in your plunge pool to get refreshing relief from the midday heat! The main lodge is also gorgeous - built from natural rock with teak decks overhanging the gorge, it's the central meeting place where you can relax and enjoy the feeling of a true colonial safari atmosphere. 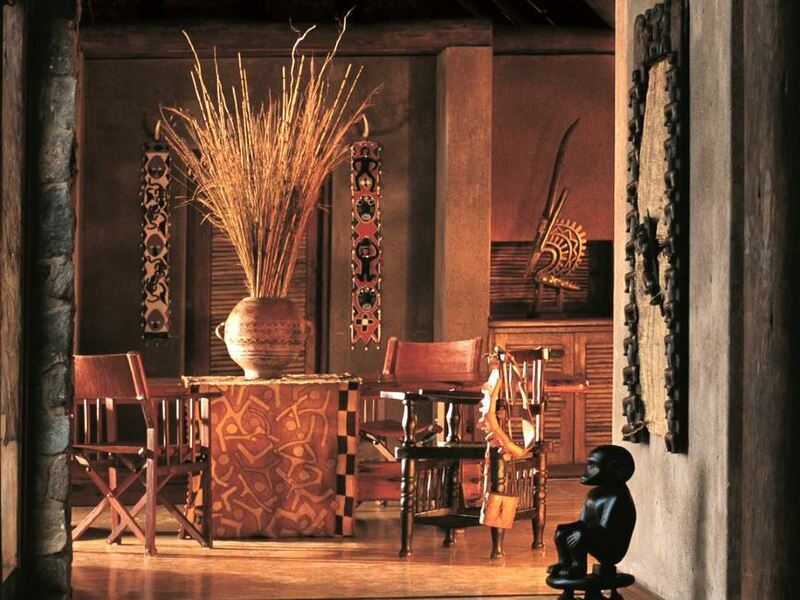 Rare African art, stylish furnishings, rich woods, leather and woven textures create a rich elegance and feeling of classy luxury. Sip a cocktail or order a delicious bottle of wine from the Zebra bar, peruse a book of African stories in the library or just chill in a comfy sofa in the Indaba lounge which has a lovely wooden deck overlooks a small and very active waterhole frequented by loads of game – it's a great spot to relax with a pair of binoculars watching the animals coming down to drink as well as providing excellent photographic opportunities. Away from the lodge, Makweti provides an exclusive and memorable safari experience combining spectacular scenery with excellent game viewing! The highlight of your stay will undoubtedly be the dawn and dusk game drives which are conducted on open 4x4 vehicles or on walking safaris with expert rangers who are eager to share their stories, giving you an interesting and educational game viewing experience. This is an area of unmatched scenic beauty with rolling wooded mountains, magnificent red sandstone cliffs, perennial rivers, open plains and savannah. The game viewing is similarly diverse and varied, with guests at Makweti enjoying particularly good sightings of rhino, elephant and lion. Night drives give you the unique opportunity to view nocturnal wildlife including brown hyena, bushpig, genet and porcupine. Back at the lodge after your drive, the chefs at Makweti get their chance to shine. Whilst many lodges boast that they offer great food, Makweti definitely does deliver on this score – you only have to look at the numerous rave food reviews from guests, not to mention the lodge's membership of the prestigious Chaine des Rotisseurs gourmet association for proof of that! Candlelit gourmet dinners are served in different locations every time – perhaps in the formal dining room, on the deck or under a starry night sky in the boma by a flickering camp-fire. It makes for a delicious and stunningly romantic experience that's pure Makweti!